Every year I seem to add a new garden space to my yard. 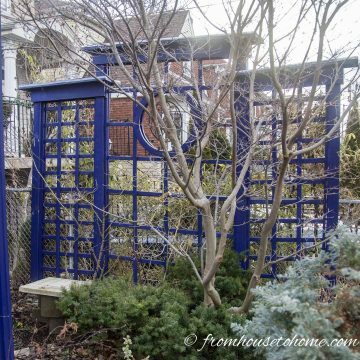 To make sure that I have a garden design I like, I use this process for selecting my garden color scheme and these tips for creating plant combinations. They take the guesswork out of gardening. 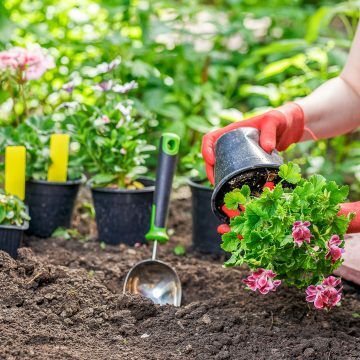 Like decorating, creating a garden that looks beautiful is part creativity and part science (and sometimes a little bit of luck…those “happy accidents” that happen once in a while). 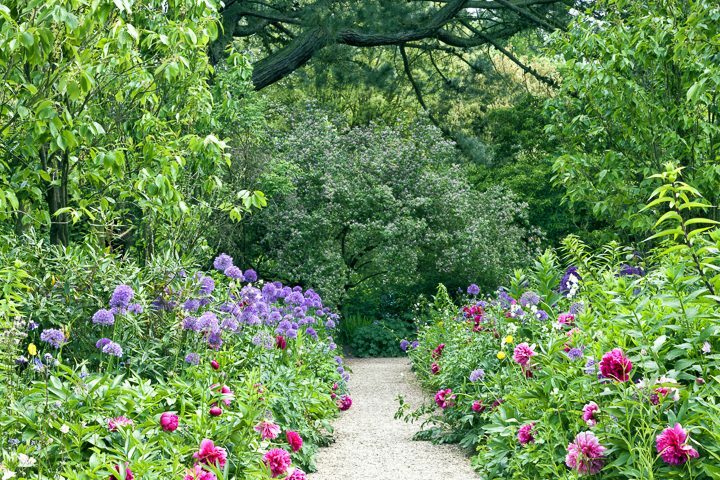 And just like decorating, there are actually some easy rules you can follow to help your garden look its best. 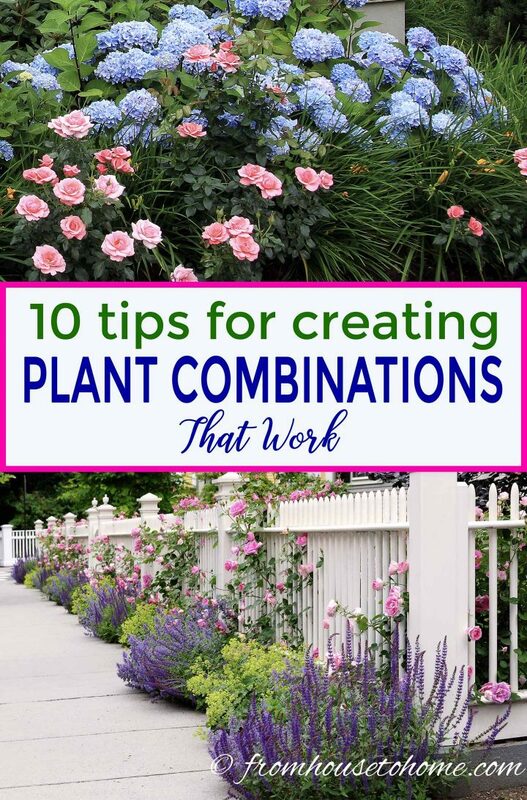 That’s where these tips for creating plant combinations come in handy. You’ll notice that many of these tips revolve more around of the leaves of the plants than the flowers. 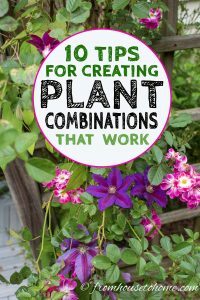 Since the leaves are usually around longer than the flowers, using them to create interesting plant combinations means they’ll last all season long. Different plants have different textures depending on the leaf and flower shape. Those textures help to add interest to your garden. 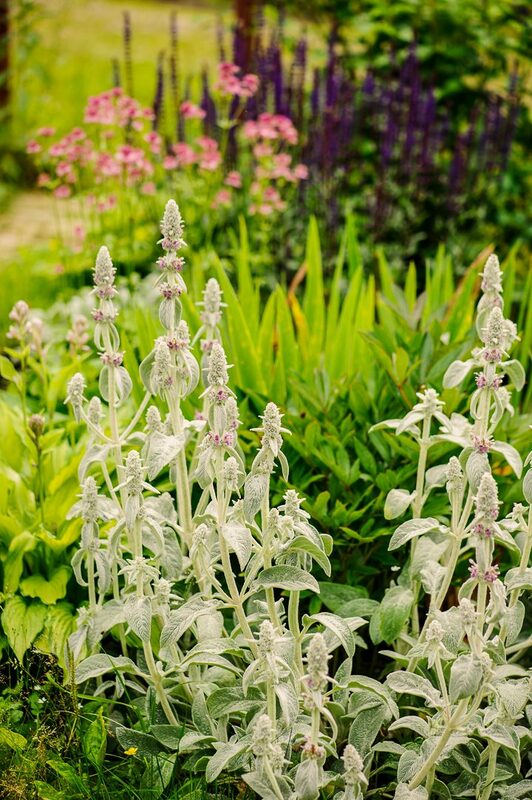 You can use plant combinations that contrast woolly and smooth leaves, like these woolly lamb’s ears. Or mix in some pointy leaves, such as these evergreen needles with other plant leaf textures to change things up. 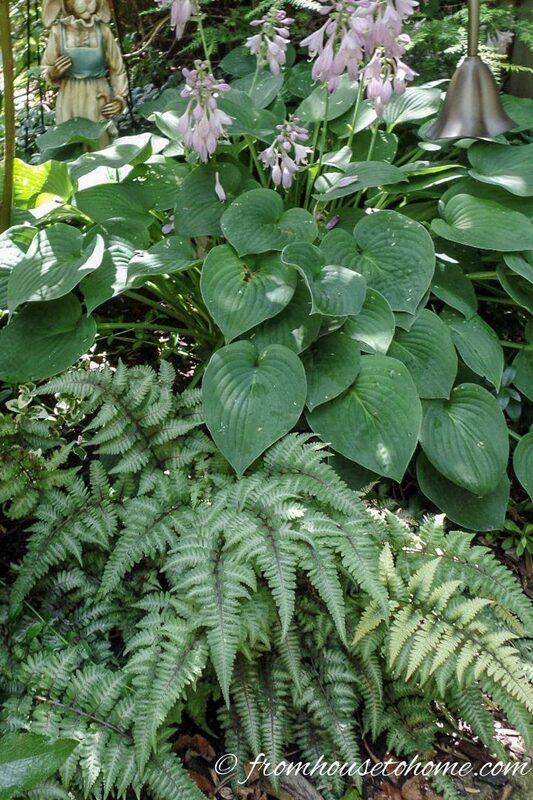 Using different leaf shapes together (such as these feathery ferns with rounded Hosta leaves) gives a similar effect to using different textures. The different shaped leaves help to create another layer of visual interest that keeps the garden from looking all the same. Besides the pretty combination of flower and leaf colors in this garden border, another reason this plant combination works is the difference in plant shapes. 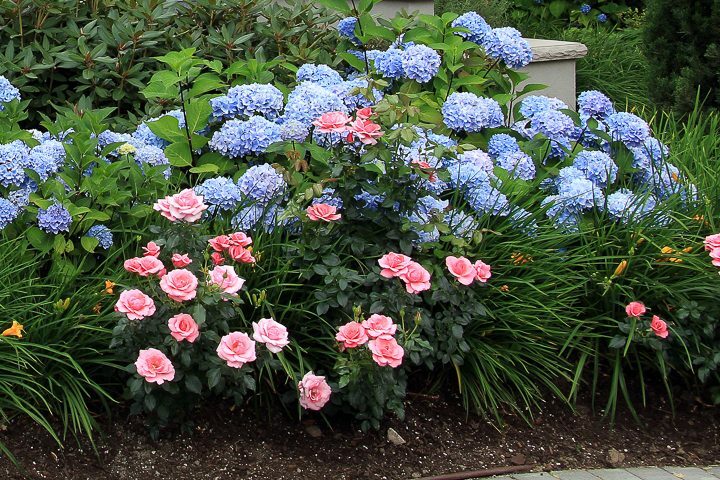 In this case, the spiky flowers from the Astilbe really stand out beside the mounded shapes of the Hydrangea and Spirea bushes. Using evergreens in your garden landscape is a really easy to way to add different plant shapes, since many of them grow in a pyramid form. 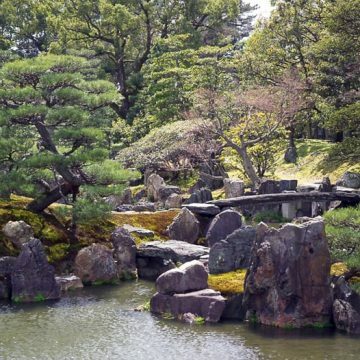 This park shows how the pyramid shaped conifers contrast with the rounded shapes of large Rhododendrons and Japanese maples. 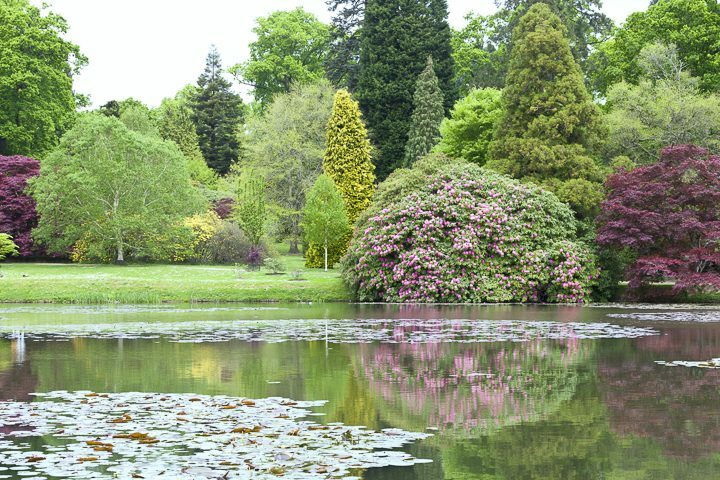 Although this is on a grand scale, you can re-create a similar look in your own garden on a smaller scale, using smaller trees and bushes. 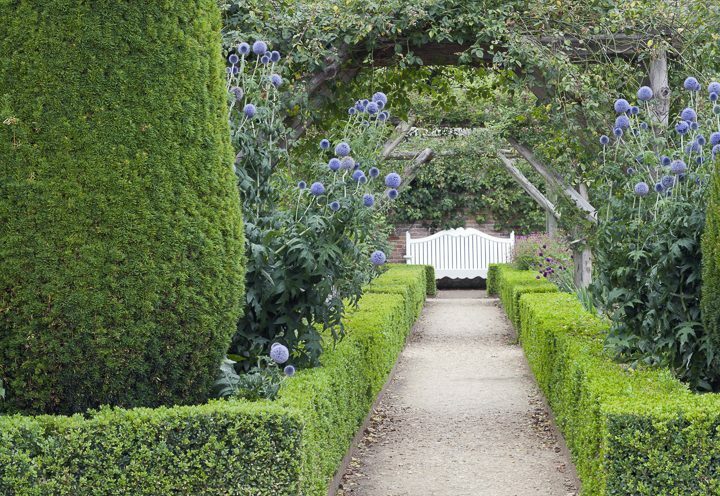 Another option is to create your own garden shapes by growing and pruning plants that don’t mind getting sheared (such as Boxwood and Arborivitae). 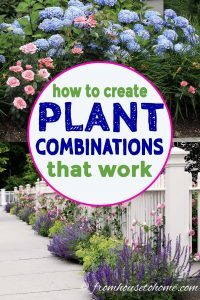 As long as you’re willing to do a little work to keep the bushes trimmed, you can create all kinds of interesting plant combinations. 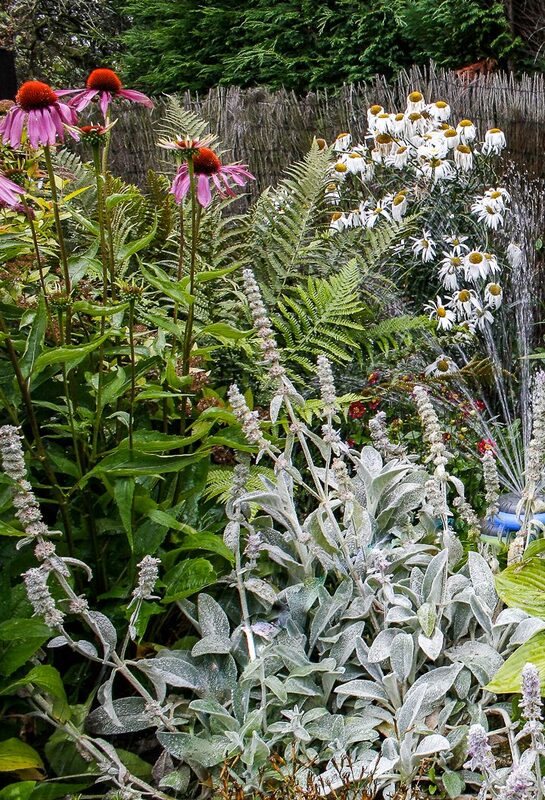 Varying the height of your plant combinations is the next way to add interest to your garden. 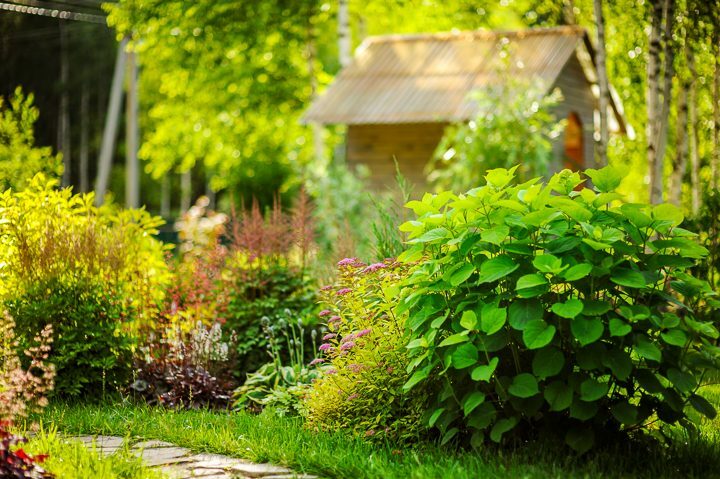 It creates layers that give your yard that lush, filled-in look. 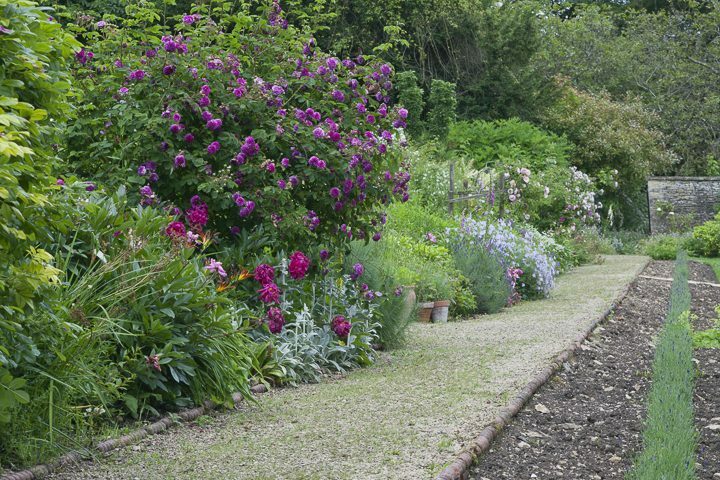 This generally means planting shorter plants closer to the front of your garden bed and taller ones towards the back. Although as you can see from the massive rose bush in this picture, having some plants that aren’t planted strictly in their designated height zone helps to add some drama. 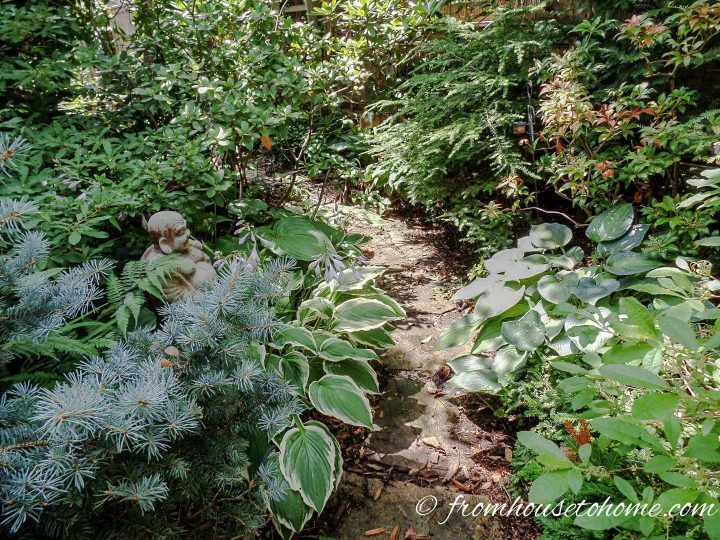 I always try to include at least a couple of evergreens in every area of my garden. Because they don’t lose their leaves, they add structure to the garden all year round, which I think is an important part of making good plant combinations. I used this concept to fill in the back corner of my house. 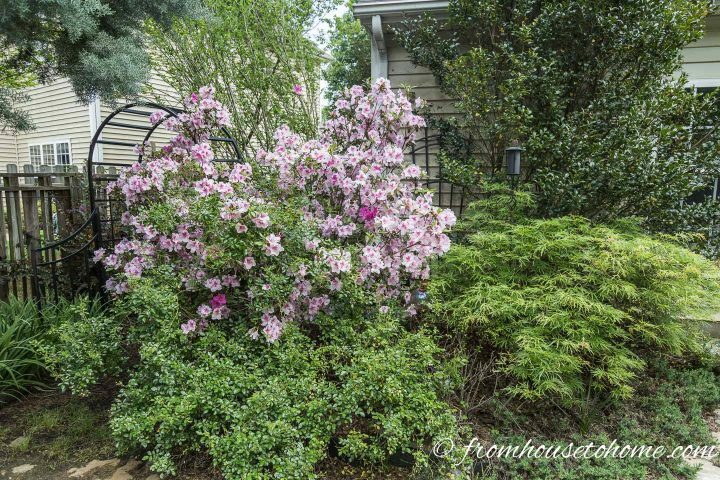 Low growing junipers (shortest layer), an Azalea (mid-height layer), and a Camellia (tall layer) form the backbone of this area. And keep it from looking too bare in the winter when the rose (not blooming here), Japanese Maple and Rose of Sharon (also not blooming here) lose their leaves in the fall. Of course, I couldn’t get away with talking about plant combinations without mentioning color. Just like in decorating, the colors you choose can have a big impact on whether your garden feels relaxing or energizing. Which means that both leaf color and flower color are important to creating the feeling you want to have in your garden. 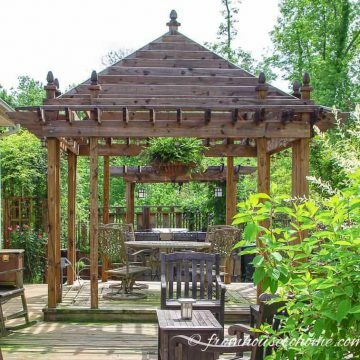 Since there are so many different ways to add this important element to your garden, I wrote a whole other post on the topic of creating garden color schemes, which you can find HERE. 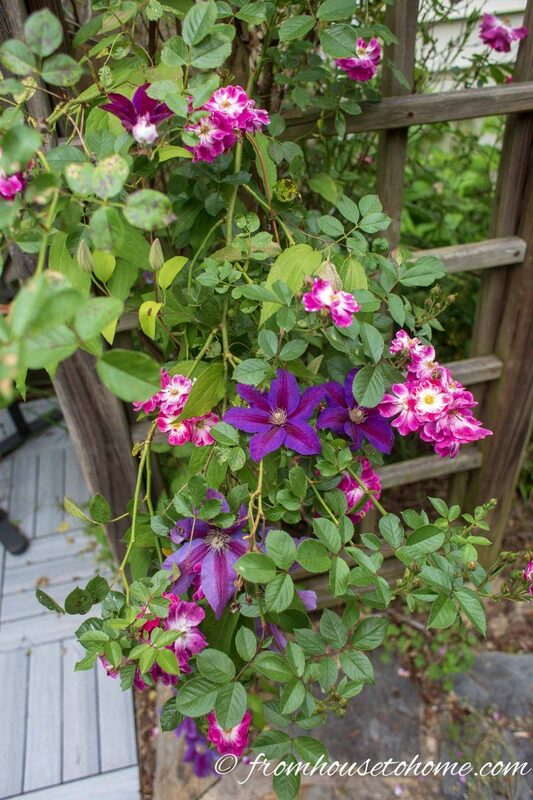 If you’re at a loss for where to start with your plant combinations, try choosing just 3 plants – one lower growing, one mid-level height and one taller one that incorporate your color scheme. If you can, try to work in at least one other area of contrast, whether that’s leaf texture, leaf shape and size, or plant shape. Then put your plants together and see what you get. Here, the spiky leaves of the yellow day lilies add some contrast to the more rounded leaf shapes of the roses and hydrangeas. It’s a very simple garden scheme that looks really pretty. I think I have said this before, and probably more than once…but one of the tips for a successful garden design (and good plant combinations) is to repeat the same plant more than once. This garden bed has a very simple combination of Alliums and Peonies. Even though there isn’t much difference in any of the other design elements (height, texture or shape), it still makes an effective display because they are repeated all the way down the path. 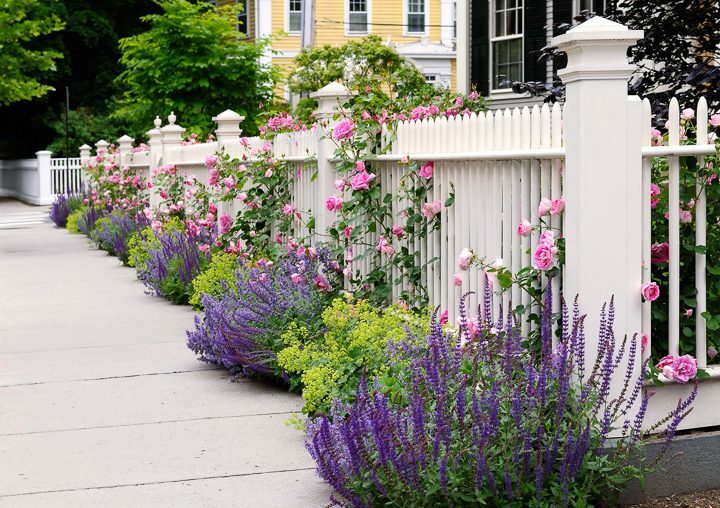 If you take the “plant in groups of three” idea and combine it with repetition, you can create a really pretty border for your fence, front of your house, or beside your driveway. This tip isn’t the most exciting of the bunch but it is an important one. To have the best success with your plant combinations, pick plants that like the same environment. If your spot is gets full sun, make sure all of the plants you choose will thrive in sunny locations. Same goes for soil type, soil PH, and moisture level. Click HERE to find more information on how to pick the right plants. Lastly, this is another tip that I tend to repeat a lot when it comes to gardening…it really helps to have a plan. Those “happy accidents” where things just work out on their own don’t happen often enough to go without one. That way, you can do some research about where you are putting your plants and which ones you want to combine together. Then make sure they will grow well in your location and look good doing it. 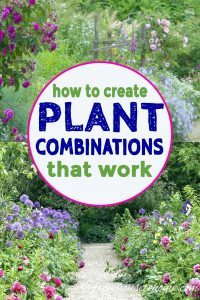 Have comments or questions on our tips for creating beautiful plant combinations? Tell us in the section below. Pin It So You Don’t Forget It! Hi, and welcome! I’m Wanda and I believe decorating is all about creating a beautiful and comfortable space that you are happy to call home (and you don’t have to spend a lot of money to make that happen). If you wish to share our content, please click here to see our conditions.